October | 2013 | hair, there and everywhere! Healthy Hair Talk, a dash of life with a hint of laughter! Greetings guys! It’s been a while, hasn’t it? I have been busy with both my professional and personal lives, so blogging has taken a back seat! 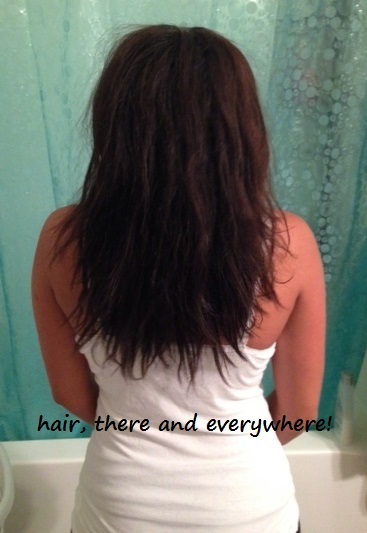 I wanted to share a quick hair update before explaining my upcoming blogging hiatus! 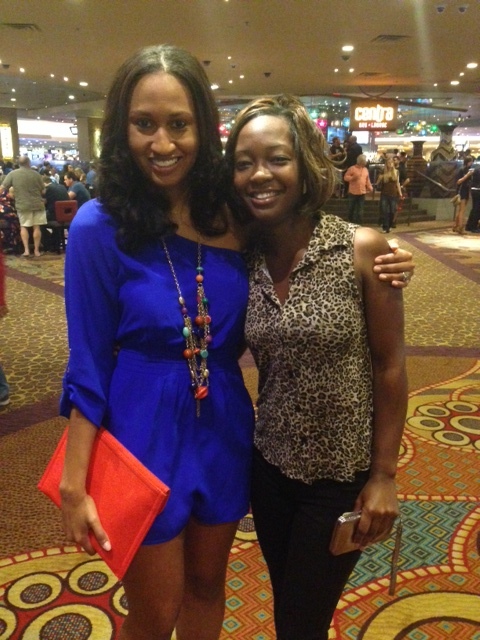 This past weekend, I met my cousin, DaJuan and Kim (yes, the one who does my hair!) in Las Vegas for a Dirty 30 celebration. We had a ball, do you hear me?? 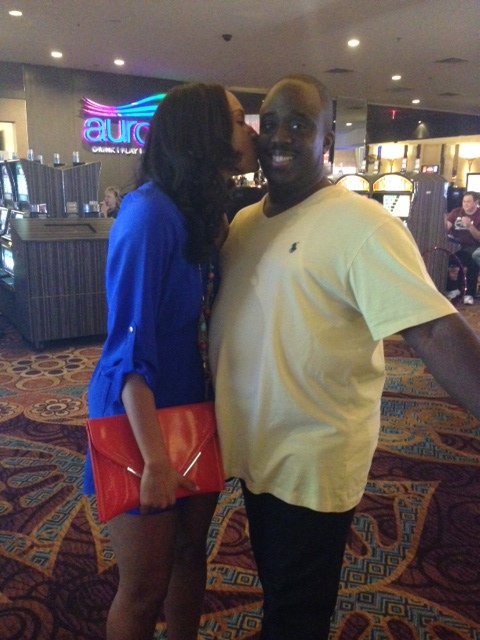 DaJuan, who comes from a family of lucky gamblers, won $500 on the Michael Jackson slot machine at Mandalay Bay! We stayed with MJ all weekend, who I guess wasn’t willing to give out too many other coins during our stay. I won $40 on that machine and a few bucks elsewhere! At least I didn’t lose all my gambling money! I won’t spill too much tea, as the mantra “What Happens in Vegas, Stays in Vegas” applies! I wanted to wear my hair straight, so I knew I would have to get up Saturday morning before my flight to blow it out. I did an overnight pre-poo with coconut oil, safflower oil and Carol’s Daughter Monoi Repairing Hair Mask, which I received as a sample from Sephora. I got up and washed with Amla Legends Body Hair Filler and Alterna Caviar Volume. I deep conditioned for an hour with KeraPro Restorative Treatment since it gives me that perfect balance of moisture and protein, which is what one needs before their hair is hit with some direct heat! My leave-ins were: Alterna Caviar Photo Age Defense, Alterna Caviar Perfect Blowout Creme, ApHogee Green Tea Keratin Restructurizer and Carol’s Daughter Monoi serum. I blew my hair out in small sections on low and cool, which took me about 35 minutes. I didn’t want any bumps or bends, so I tied a scarf around my edges and wore it down on the plane. Before Kim flat ironed my hair, I applied Alterna Bamboo Smooth Anti-Breakage Thermal Protectant Spray, which I reserve for my blow outs. Instead of doing curls just at the ends of my hair, Kim did these gorgeous barrel curls. I was in love! At first I was worried about how I would maintain them, but I found that applying a little of my Alterna Bamboo Luminous Shine Mist and gently twisting the hair into two big twists (imagine two pigtails, but twisted) and pinning them up with two duckbill clips preserved my style. I also wore my hair pinned up when we were out for the day, only to have gorgeous curls by evening time! I also had to spray some DevaCurl No-Poo Quick Cleanser Dry Shampoo on my hair daily, as it smelt like cigarette smoke! I do believe Las Vegas is the last bastion of a smoker’s paradise in the US … people even smoked in the clubs!! I swear I got lung cancer just by letting my hair down! I asked Kim how I could recreate these curls without heat and she suggested I do a roller set as normal, then gently spray the ends of the hair with water (taking advantage of that hydrogen bonding) and roll the hair half-way with flexi-rods. I need to buy some smaller flexis, but I do believe I will be doing that in the next few weeks. Now for the hiatus! I will be stepping away from blogging for a little while. It shouldn’t be more than 4 weeks (as I get my relaxer then), but I want to refocus some of my energy to other hobbies, such as reading! I am a history nerd, so I have started reading some political history books, mainly about two of our Founding Fathers. I would like to finish two books by the end of the year “John Adams” and “Thomas Jefferson: The Art of Power.” These are not small books, either. They are both over 600 pages! I get most of my reading done while under the dryer, which was formerly dedicated to blogging. 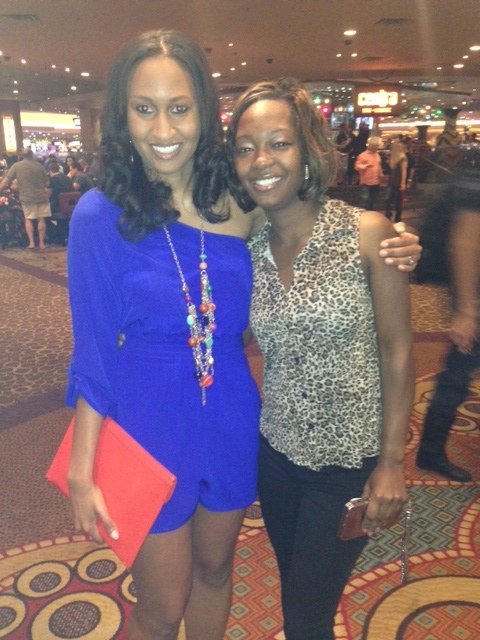 Here are some pictures of our first night in Vegas. My self-given nickname on the trip was “The Duchess,” for my Duchess Catherine-esq curls! Posted in Hair Care, Politics, Recent Events, Life! Today I was looking in the mirror and noticed that I could see my scalp in a few places around my edges when my hair was pulled back. 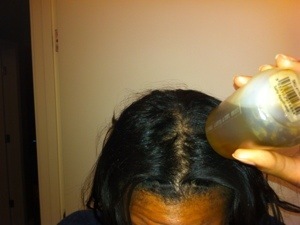 I remember the stylist I went to see saying the scalp coverage can decrease with age and with the use of chemicals (e.g. relaxers). 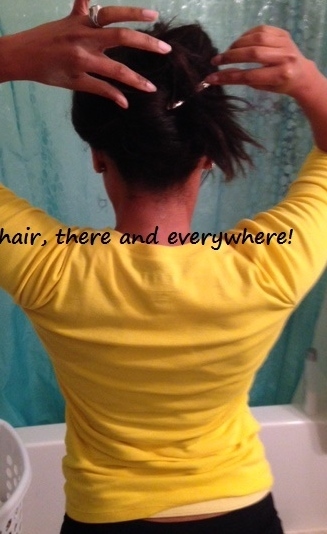 It also does not help that I wear my hair pulled back almost everyday in a tight headband. My mantra is: “the tighter the better!” (that’s what he said – hahahahah!) My hairline for the most part is fine, but the front part where my hair begins needs a little love! 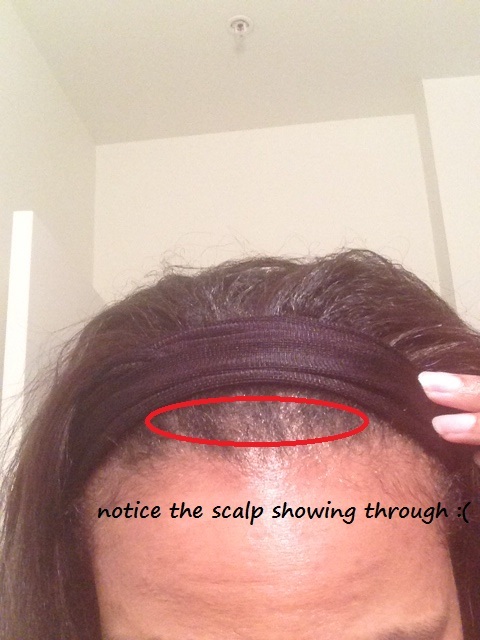 With this said, I am going to do a personal challenge by using Jamaican Black Castor Oil 2-3 a week on this area. Also, I will not wear tight headbands. I have a black one that allows me to adjust it so that it is not too tight, so I will just wear that until I can get some more colors. Hopefully in a few months I will notice a bit more scalp coverage. It is not too bad, but it definitely is noticeable! 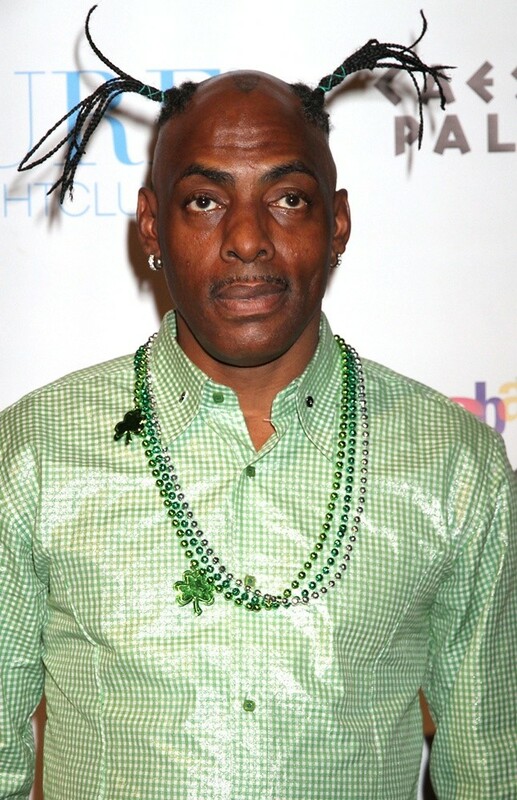 I went to Nathan to ask him if he could see my scalp in the front. He said yes and that I was going to end up looking like Coolio of late with the struggle plaits! Ooooooh! It was kinda funny! He’s just bitter the Cowboys lost to Denver today. So as I brewed my green tea for my rinse this afternoon, I thought that today would be a great day to write about this topic. HHJs are not for the milquetoast, as I wrote in a blog last September. The ugly truth for a vast majority of black women is that if you want APL+ hair, you are going to have to work for it … and work hard!!!! Due to our hair being so fragile and prone to dryness and breakage, we have to practice diligent care to prevent new hair from becoming damaged and to try to salvage damaged hair from our pre-HHJ days. I look at my HHJ from a delayed gratification vantage point. Sure, I cannot wear my hair down everyday (and have to wear boring buns), I cannot flat iron it more than about 6x a year, I cannot have permanent color or highlights and I have to spend 4-5 hours almost every weekend treating and rolling it … just to name a few sacrifices, but the ability to retain length, thickness and get the oohs and ahhs (and looks of envy from some people in my hometown … the haters know who they are!) from admirers is definitely worth it in the long term. I have friends who are able to have short wash days by blow drying and flat ironing often, but they are firmly stuck at neck or collarbone length. On days like today, when I just didn’t feel up to putting on the dog-and-pony-show for my hair, I remembered my end vision of waist length hair and how far I have come in two years and it gave me a little strength boost to get through my Wash Day! I was talking with a co-worker today after another fun and intense Focus T25 workout about why and how I use dry shampoo on my hair. Unless there is some special circumstance (e.g. 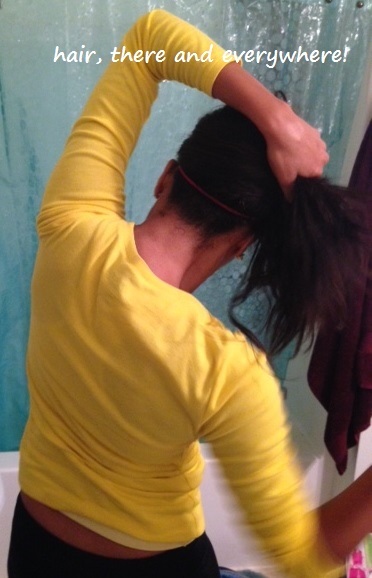 excessive sweat or heat), I do not wash or co-wash my hair more than 2x a week. Now that I am trying to avoid faux air-drying my hair to cut down on breakage on my ends, that means that I will wash my hair once a week, because I damn sho’ will not be rolling my hair twice a week! Sweat that remains on hair can cause itchy scalps and the salt from sweat can cause hair to be dry, not to mention it causes hair to be stringy and limp! So what’s a girl to do to avoid stringy, sweaty, oily hair while maintaining a demanding physical regimen? Dry shampoo!!! Dry shampoo helps remove excess oils, debris and sweat from your hair without it having to get wet. For the most part, dry shampoos come in powder form in aerosol cans or bottles with nozzles so that the product is concentrated to where you want it. Oftentimes, the instructions are simple: apply to desired area, let product soak in hair for a few minutes, then blot or comb through and style as desired! I use Kenra Platinum Dry Shampoo, which is available at Ulta in 2 sizes, but here are other ones based on their price. I use the dry shampoo about once a week, mid-way through the week when my hair is looking like strings, but as always, do what works for you and your hair! Here’s how I dry shampoo my hair! Please keep in mind that the main objective for me dry shampooing is to remove oil, dirt and sweat from my hair, not to salvage a style! Due to my workout schedule, my hair is mostly bunned, so this works for me! If you are looking to have a whole new style and take advantage of hydrogen bonding, then a full wash is for you! 1. This is my hair before I applied the dry shampoo! It’s a bit oily and sweated out! 2. I shake the bottle and spray on my hair, moving quickly and spraying my roots, the length and the ends. 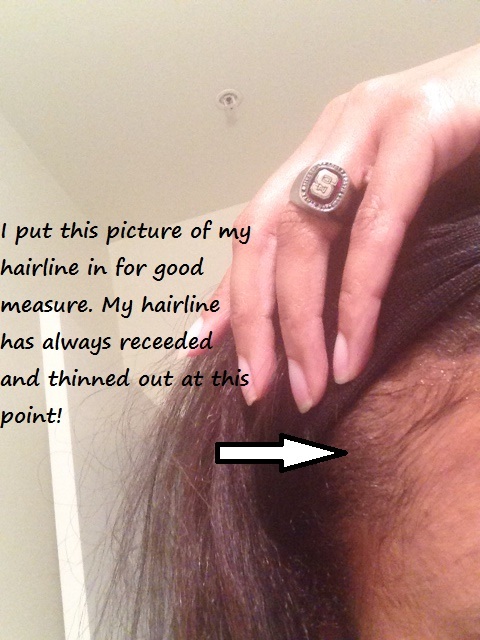 I scrunch the product throughout my hair, focusing on massaging my scalp. 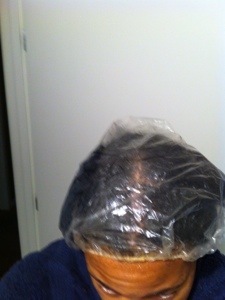 I then pin my hair up to let the product dry for about 15 minutes. 3. Danger! 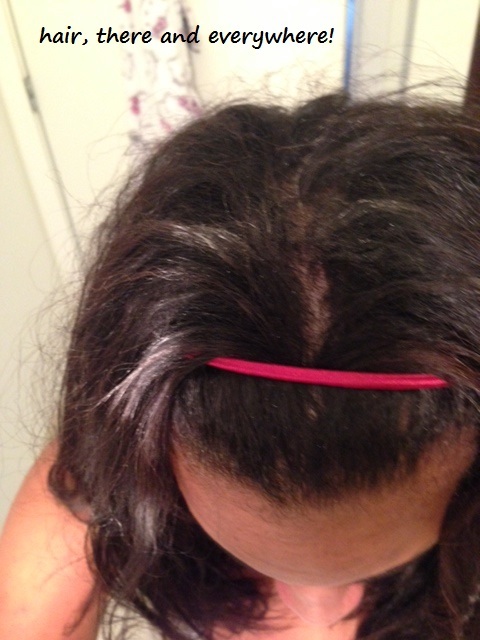 If you don’t rub the product in good enough or spray one area too long, you may get white areas in your hair! These are easily removed by taking a damp rag and gently rubbing it until it disappears! I noticed I was running low on my Kenra Platinum Dry Shampoo and decided to get some more. I didn’t want to pay $22 for a large can of it, so I headed to Sally’s and Target to see what bargain brands they had. They had plenty, but as I was reading the ingredients on a few of the brands, I noticed all but one (Tresseme) had propane as a top ingredient. Uh, that’s no bueno. I do not think I want to be spraying propane on my hair. I definitely do not recall Kenra having propane listed, so I decided to pass!!! I guess higher-end brands have no propane in them. I went to Sephora today and bought a small size of DevaCurl No Poo Quick Cleanser to see if I will like it. The lady at Sephora said they just got it in, so she hasn’t had a chance to use it yet. I will do a quick product review in the middle of the week! I totally forgot about my summer goals, quiet as its kept! I was reminded by two bloggers who looked back on their goals to see if they made it … so in the spirit of completion, I thought I would a quick check-in and see how I did! For the most part, I did well with my summer goals. 1. Get to MBL! This is the ultimate goal. I do not mean just a few scraggly hairs, either, I mean a good portion of my lower layers (meh, I will take 20%). Kind of … I did a lot of trimming this summer. I got to MBL in my longest parts … I can’t say for sure if it was 20%! I did! I will have to take a picture for comparison’s sake. 3. Use the L-O-C method to improve moisture retention. I did this only on air-dried hair. If I would have done it on hair that was roller-set, it would be a soggy, limp mess. But nevertheless, I did it! Since June, I have flat-ironed my hair once (for my August 2013 relaxer) and used the blow dryer on my entire length twice. Done … kind of phoned it in in September. Did NOT do. I dusted more because my hair needed it. Oh well. Scraggly ends are a no-go for me. 9. Maintain my hair’s gorgeous thickness! 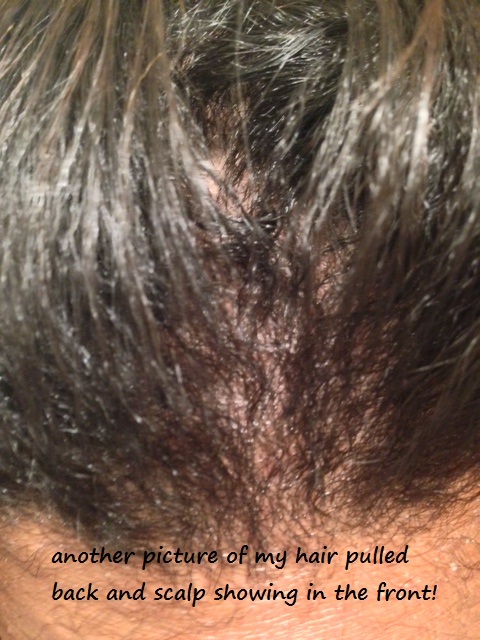 Well, done for the most part … there was some autumn shedding I had to contend with. Did this in late June and mid-September. This is my second week using this product and I feel compelled to spread my joy about it! As you may know, I have been on the look out for a great silcone-free serum, which I thought I found in Living Proof’s Satin Serum. Unfortunately, that didn’t work out and I found this product on Sephora.com. I have heard mixed things about Carol’s Daughter products, but I was pretty desperate to find a good serum, so I took a chance and boy, am I glad I did! A lightweight, silicone-free miracle serum that counteracts and prevents damage to even the most distressed hair. This lightweight miracle serum, whose strengthening power comes from Monoi Oil—a sacred Tahitian blend of Tiare Gardenia Flower and Coprah Coconut Oil—counteracts and prevents damage caused by chemical straightening, color-treating, heat-styling, and sun exposure. It helps rebuild the appearance of your hair in a way that won’t wash out or weigh hair down, like silicones do. It is also blended with Mirabelle Plum Seed Oil to restore softness and Kukui and Rose Hip Seed Oils to reduce frizz and boost your hair’s natural shine. Return your hair to its maximum beauty—no matter what you do to it. 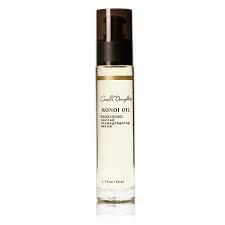 -Mirabelle Plum Seed Oil: Restores softness. 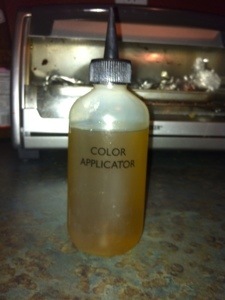 -Rose Hip and Kukui Seed Oils: Tame frizz and add shine. Isododecane, Olea Europaea (Olive) Fruit Oil, Vitis Vinifera (Grape) Seed Oil, Ethylene/Propylene/Styrene Copolymer, C12-15 Alkyl Benzoate, Hydrogenated Ethylhexyl Olivate, Cocos Nucifera (Coconut) Oil, Hydrogenated Olive Oil Unsaponifiables, Gardenia Tahitensis Flower Extract, Prunus Insititia Seed Oil, Rosa Moschata Seed Oil, Carthamus Tinctorius (Safflower) Seed Oil, Jojoba Esters, Fragrance, Aleurites Moluccana Seed Oil, Argania Spinosa Kernel Oil, Citrillus Ianatus (Watemelon) Seed Oil, Isohexadecane, Kaempferia Galanga Root Extract, Retinyl Palmitate, Tocopheryl Acetate, Butylene/Ethylene/Styrene Copolymer, BHT, Phenoxyethanol, Alpha-Isomethyl Ionone, Benzyl Benzoate, Benzyl Salicylate, Geraniol, Hydroxycitronellal, Linalool. My Thoughts: I can totally tell that my hair is breaking less since I began using this product. I monitor my breakage on an almost daily basis and to have more days where I experience no breakage than days that I do has been something I have been striving for since the beginning of my hair journey! The smell is devine. It reminds me of Hawaii, due to the fragrance smelling like a lei! It also has my beloved kukui nut oil in it! The product is pretty concentrated, so judiciously use this product! It will depend on the length, density and thickness of your hair. I use two to three pumps when I apply it to my wet hair, making sure I pay close attention to the ends and work my way up the hair shafts. I am not a fan of glass bottles, but it seems that higher end serums come in them (e.g. Alterna Caviar Polishing Serum, Living Proof Satin Serum). Also, the pump is not the best, but it may just be on my bottle! Autumn Shedding and a Garlic Treatment! Ugh! I thought that I would make a quick post about autumn shedding! It seems that it is a common complaint around the blogosphere as of late! 1. 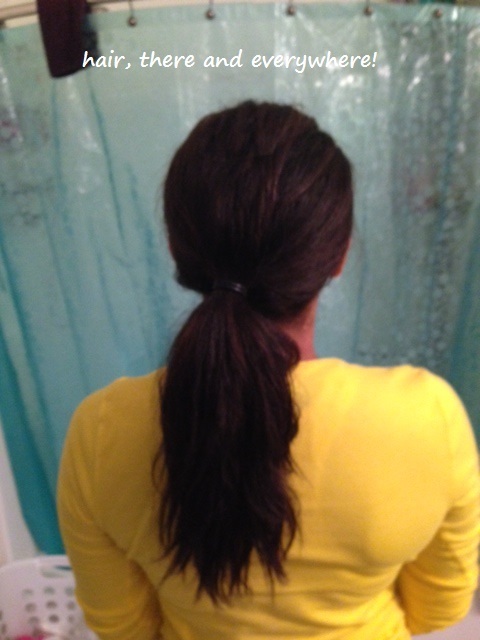 I cross-wrapped my hair instead of pin-curling it, so my ponytail is longer and thinner. 2. I need to do a garlic treatment this weekend!! I know shedding spells don’t last too long, but still, I want to mitigate the amount of shedding I have, so I think that this weekend I will do my garlic treatment! I am cooking mine in my slow cooker. I am sure this can be prepared on the stovetop as well. 1. 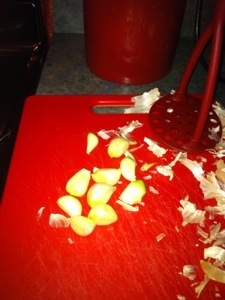 Cut up cloves of garlic. If you do not know how to do this, please google it. 2. 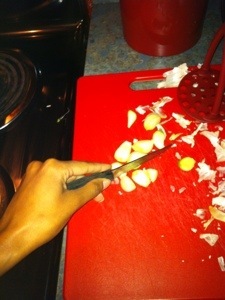 Mash up garlic with knife, mincer or whatever is handy. I used my potato masher!! 3. 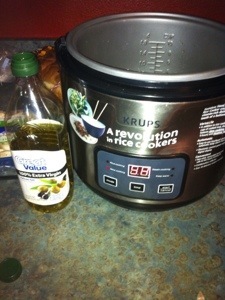 Put desired oil in crock pot or pot on stovetop. 4. 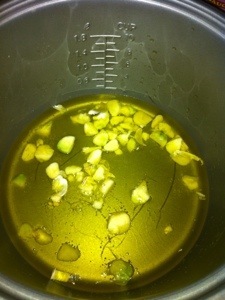 Let simmer for about 3 hours to give the garlic time to infuse into the oil. 5. Let cool for as long as needed. 6. 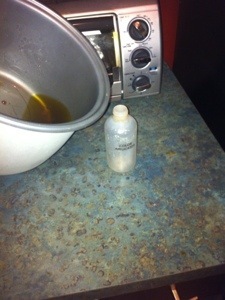 Pour oil into a bottle with applicator. You can chose to strain the garlic out or not, but since it’s going into a noozled bottle, garlic chunks shouldn’t hit your hair!! 8. Wash, condition and apply leave-ins as usual. Note: due to the drying properties of garlic, it is recommended that you incorporate a deep conditioner treatment into your wash day. – Left over oil can be stored in the fridge for about a week. – You can add this mixture (strained, of course) to shampoos or conditioners for a garlicky boost! – Essential oils such as lavender, eucalyptus and tea tree can be added to mask the scent. After deciding to get myself out of the shoulder length rut, I wanted to educate myself on how to grow my hair out long and healthy. I was excited to see so many other ladies document their successes so I decided to do it for myself! 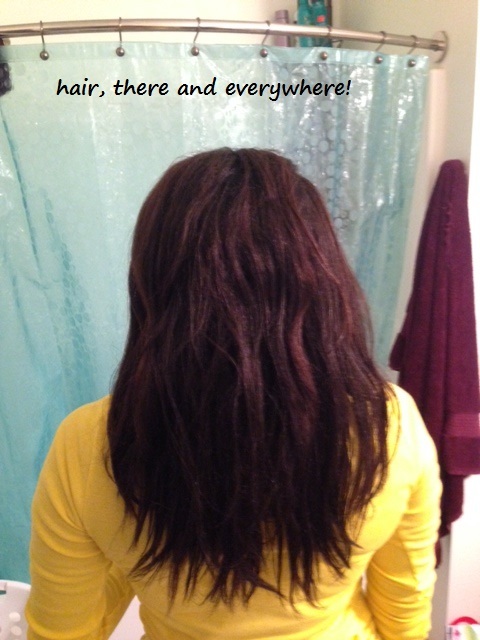 I am on a quest for healthy hair and hope that my experiences and journey can pay it forward and inspire someone else!